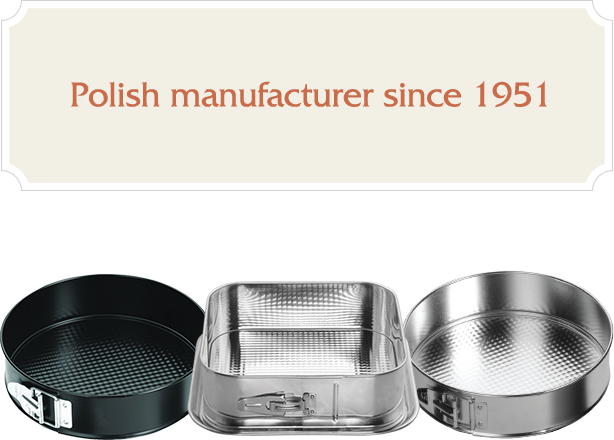 SNB – The Co-operative SNB came into being in 1951 and since that time it has been delivering on the market incessantly a wide assortment of household articles: springforms, cake-pans, baking moulds, home and balcony dryers, carpet-beaters and brushes. Our products gains recognition among both domestic and foreign customers. The Co-operative SNB came into being in 1951 and since that time it has been delivering on the market incessantly a wide assortment of household articles: springforms, cake-pans, baking moulds, home and balcony dryers, carpet-beaters and brushes. Our products gains recognition among both domestic and foreign customers. The long-term tradition, modern technology, high quality being certified by certificates of the State Hygiene Institute and openness towards market needs make that we widen permanently our offer. We assure a nice service, attractive prices, favourable payment terms and conditions and delivery with deadline. We invite you to a co-operation and assure you that we take care of your needs everyday.